NASA’s InSight Mars lander acquired this image of the area in front of the lander using its lander-mounted, Instrument Context Camera (ICC). This is the first image of the mission. 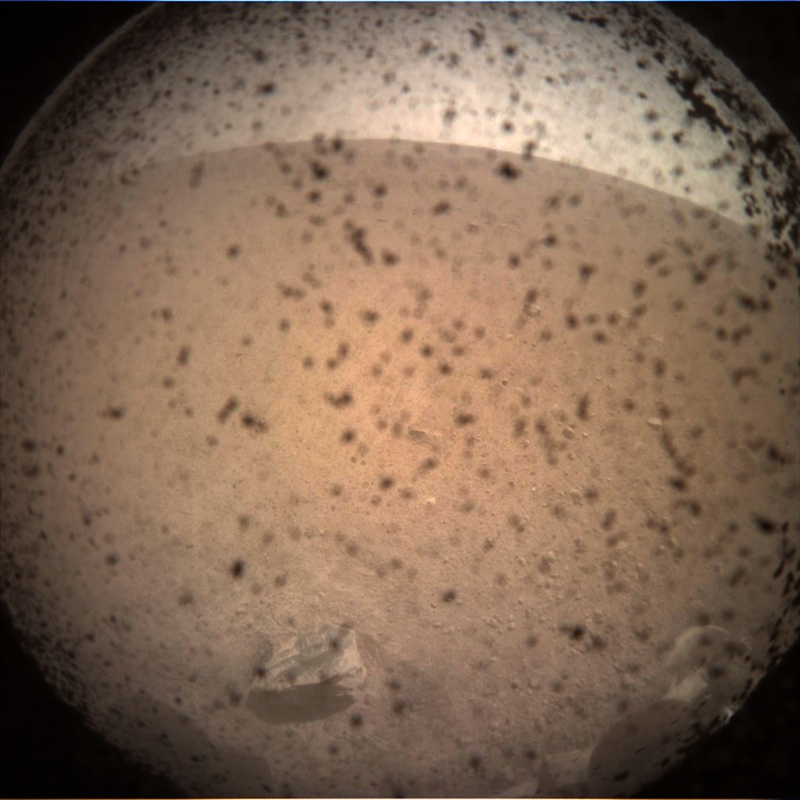 This image was acquired on November 26, 2018, Sol 0 of the InSight mission where the local mean solar time for the image exposures was 13:34:21.